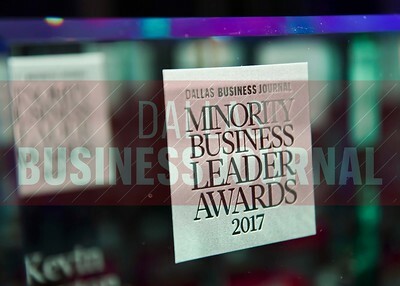 The Dallas Business Journal's 2017 class of Minority Business Leaders were awarded Thursday afternoon at the Sheraton Dallas Downtown Hotel. 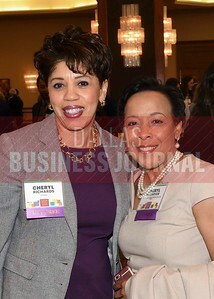 Minority Business Leaders Cheryl McCarver, Vice president and executive director, Health and Wellness Alliance for Children, Children's Health and Cheryl Richards Senior vice president, chief diversity and inclusion officer, VisitDallas. 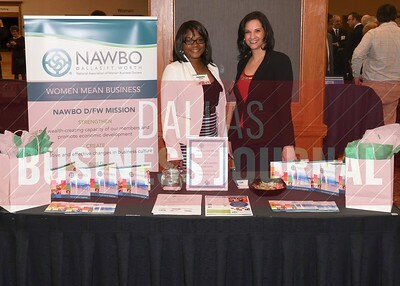 National Association of Women Business Owners, Minority Business leader Award's supporting organazation. 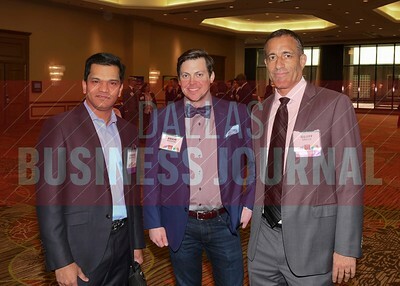 Roland Parrish. 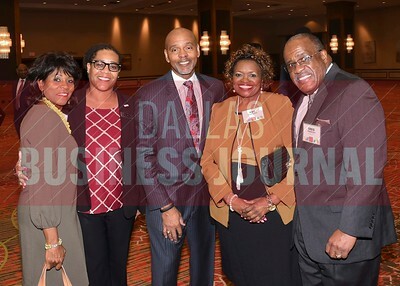 Minority Business leader's lifetime achiement award recipient, center, with Jewell Parrish, Alecia Kennedy, Pat Parrish and Greg Parrish. 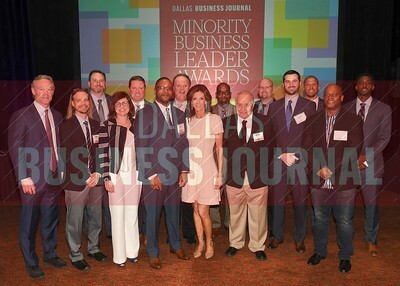 Minority Business leader Award recipient Kishore Khandavalli, CEO, SevenTablets, Inc., Adam Rizzieri and Minority Business leader Award recipient Geoff Green, CEO, Netvious. 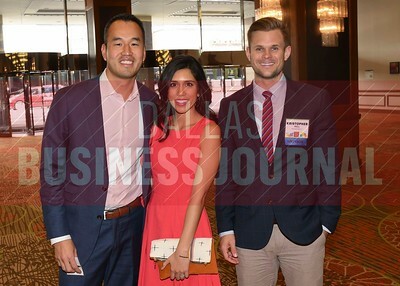 Nate Foreman , President, Foreman Therapy Services and 2017 Minority Business leader Award recipient, Alyssa Isaguirre and Kristopher Hill. 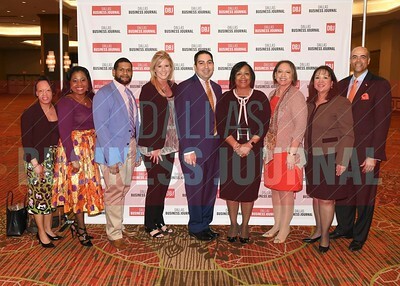 Minority Business leader Award recipients Sunny Sajnani, Principal and director, Metropolitan Capital and Tamela Lee, Vice president, Business Diversity and Development, DFW International AirportAdvisors, center with their friends and families. 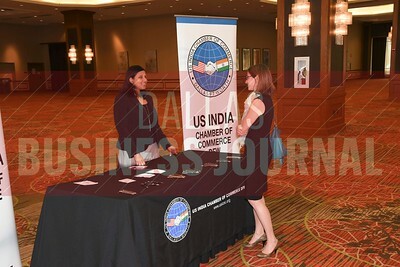 U.S. India Chamber of Commerce DFW, a Minority Business leader Award's supporting organazation. 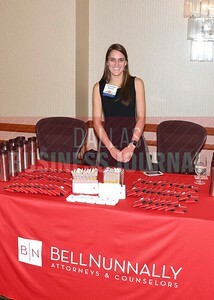 Katherine Kraus with Minority Business leader Award's premium sponsor Bell Nunnally Attorneys and Councelors. 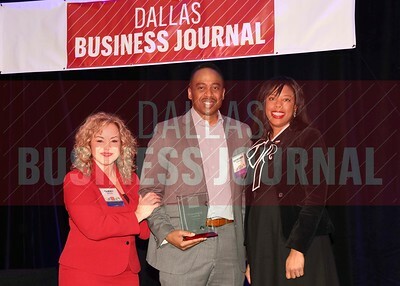 Will McClay, Assistant director of Player Personnel, Dallas Cowboys Football Club came with the support of the football team's administration. 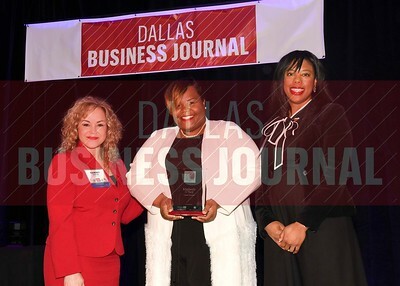 Kimberly O'Neil, Founder and managing director, Cause Studio (center) receives her Minority Business leader Award, from Tammy Wood, (left), and Sonja McGill, (right) partners with sponsor Bell Nunnally. 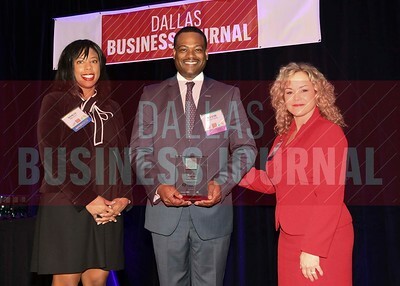 Kevin E. Crayton, Senior vice president, National Real Estate Services, Comerica Bank (center) receives his Minority Business leader Award, from Sonja McGill, (left), and Tammy Wood, (right) partners with sponsor Bell Nunnally. 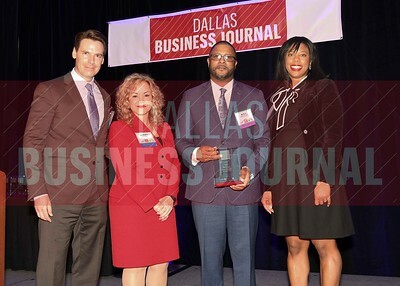 Will McClay, Assistant director of Player Personnel, Dallas Cowboys Football Club, (center) receives his Minority Business leader Award, from Christopher Trowbridge and Tammy Wood, (left), and Sonja McGill, (right) partners with sponsor Bell Nunnally. 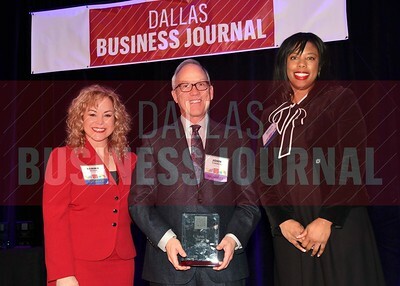 Raymond R. Ferrell, Executive vice president - general counsel and corporate secretary, Dex Media, (center) receives his Minority Business leader Award, from Tammy Wood, (left), and Sonja McGill, (right) partners with sponsor Bell Nunnally. 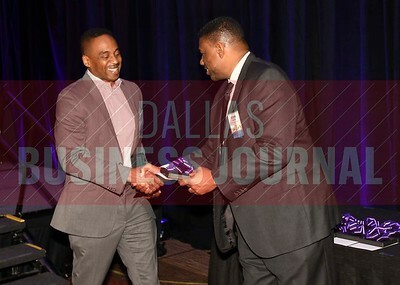 Raymond R. Ferrell, receives a gift from Kevin Davis with sponsor Neeley School of Business at TCU Executive MBA. 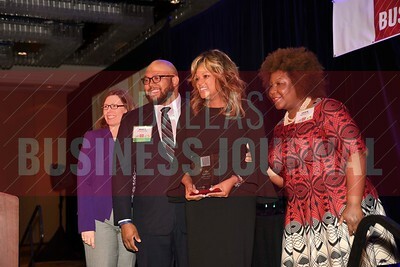 , (center) receives his Minority Business leader Award, from Tammy Wood, (left), and Sonja McGill, (right) partners with sponsor Bell Nunnally. 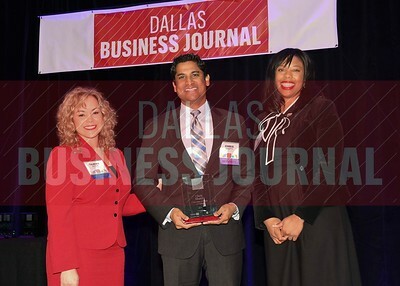 John Torres, Executive vice president, chief legal officer and secretary, Lennox International, (center) receives his Minority Business leader Award, from Tammy Wood, (left), and Sonja McGill, (right) partners with sponsor Bell Nunnally. 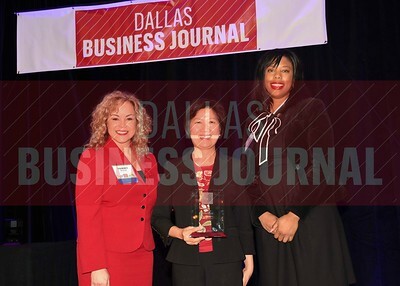 Vicky Teherani, President, More2 Wealth Management, (center) receives her Minority Business leader Award, from Tammy Wood, (left), and Sonja McGill, (right) partners with sponsor Bell Nunnally. 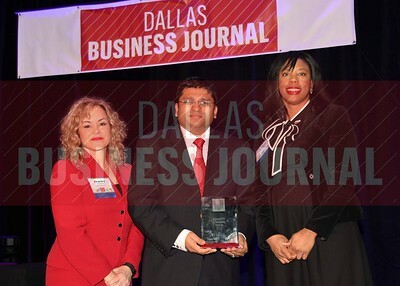 Kuntesh Chokshi, New Business Sales director, PepsiCo, (center) receives his Minority Business leader Award, from Tammy Wood, (left), and Sonja McGill, (right) partners with sponsor Bell Nunnally. 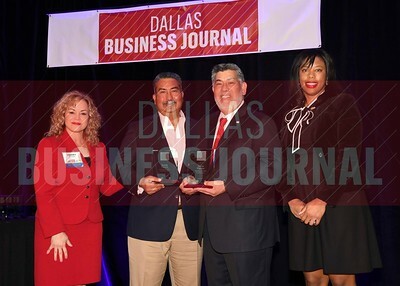 Buddy Puente and Vince E. Puente, Sr. Southwest Office Systems, Inc., (center) receive their Minority Business leader Award, from Tammy Wood, (left), and Sonja McGill, (right) partners with sponsor Bell Nunnally. 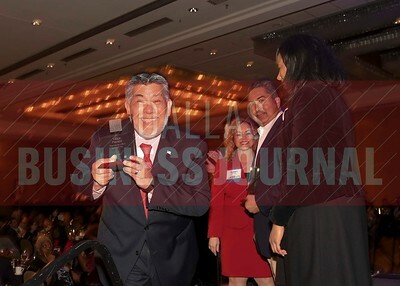 Vince Puente shows off his new piece of hardware. 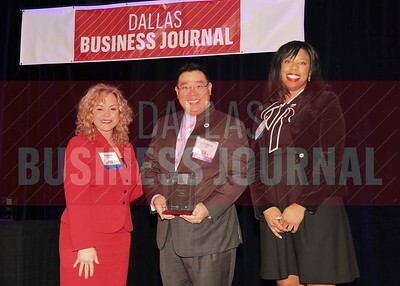 Chris Bhatti, Assistant dean The University of Texas at Dallas, (center) receives his Minority Business leader Award, from Tammy Wood, (left), and Sonja McGill, (right) partners with sponsor Bell Nunnally. 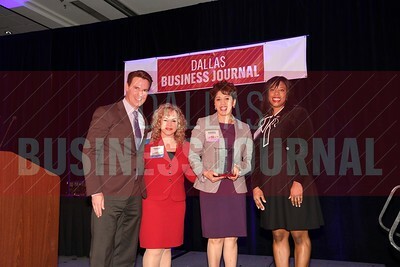 Cheryl Richards, Senior vice president, chief diversity and inclusion officer, VisitDallas, (center) receives her Minority Business leader Award, from Christopher Trowbridge and Tammy Wood, (left), and Sonja McGill, (right) partners with sponsor Bell Nunnally. 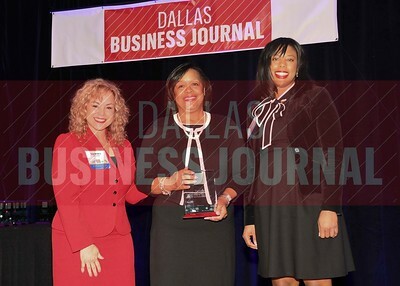 Cheryl McCarver, Vice president and executive director, Health and Wellness Alliance for Children, Children's Health (center) receives her Minority Business leader Award, from Dr. Suzanne Carter and Matt Houston (from left) and Jarie Bradley (right) with sponsor TCU's Neeley School of Business Executive MBA program. 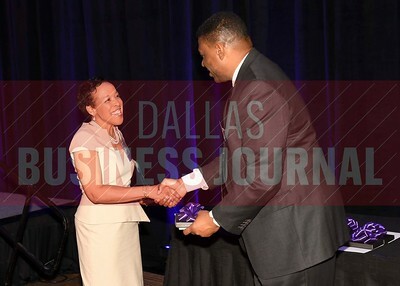 Cheryl McCarver, receives a gift from Kevin Davis with sponsor Neeley School of Business at TCU Executive MBA. 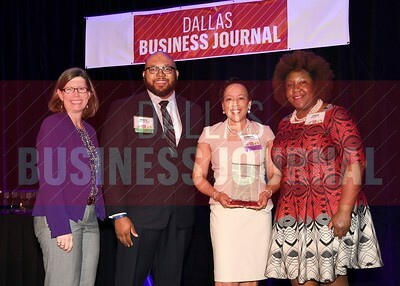 Cole Brown, chief human resources officer, Conifer Health Solutions (center) receives her Minority Business leader Award, from Dr. Suzanne Carter and Matt Houston (from left) and Jarie Bradley (right) with sponsor TCU's Neeley School of Business Executive MBA program. 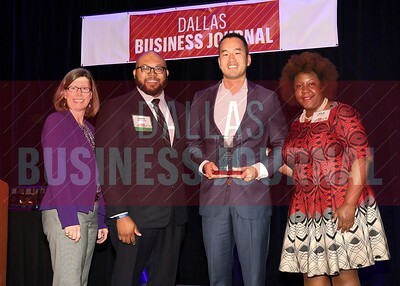 Nate Foreman, President, Foreman Therapy Services (center) receives his Minority Business leader Award, from Dr. Suzanne Carter and Matt Houston (from left) and Jarie Bradley (right) with sponsor TCU's Neeley School of Business Executive MBA program.